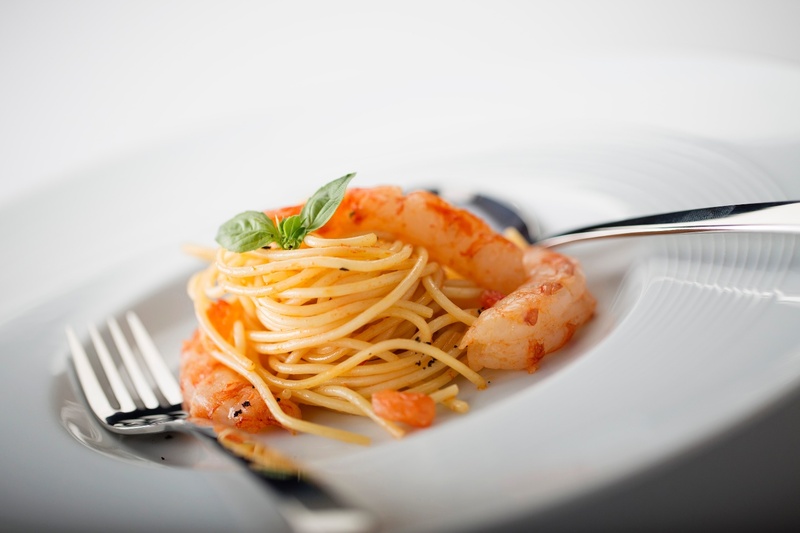 A few weeks ago The Sunday Business Post featured this Rinuccini recipe; ‘Spaghetti con Gamberoni’ in their magazine. A light and summery dish with fresh water prawns from Kilmore Quay and a hint of chilli to finish! It is now 25 years since Ristorante Rinuccini took up residence on Parade Plaza in Co. Kilkenny. The Cavaliere family, originally from Lazio in Italy, first settled in nearby Portlaoise but were set on finding a permanent home in the beautiful medieval city of Kilkenny. A dream property became available overlooked by the majestic Kilkenny Castle and as the family settled in, the many delights that the city offers began to reveal themselves.